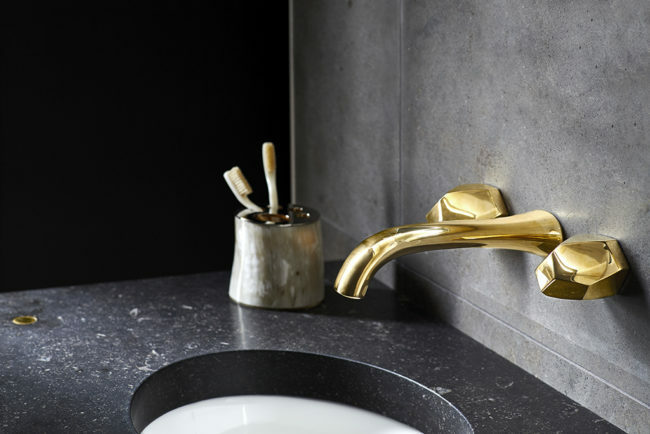 The Dash low profile spout changes the look of the faucet. 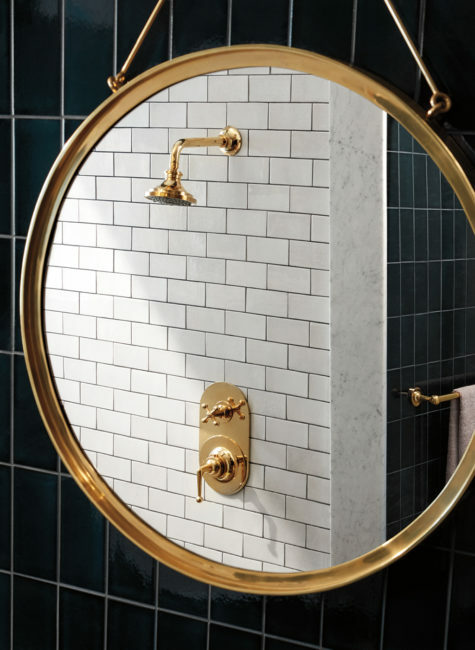 Although it shares some of the same elegant lines and the lever, the look and feel is entirely different. 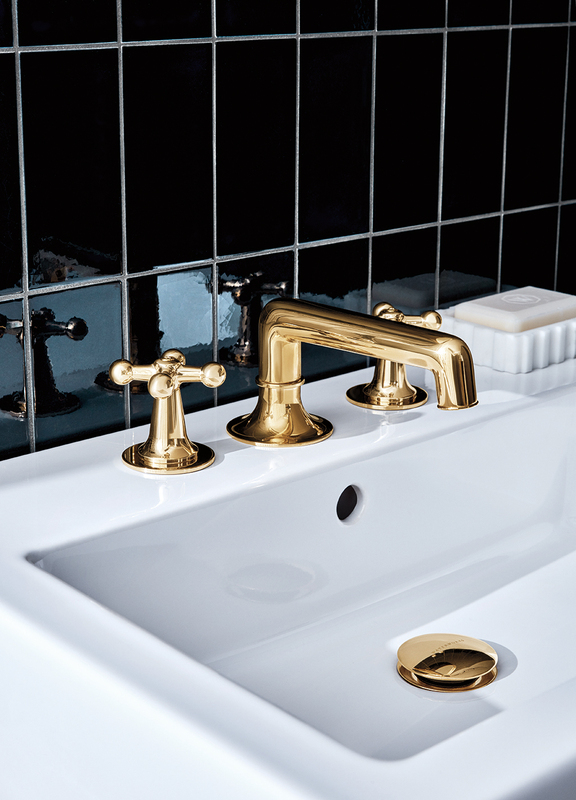 The Dash family of fittings is new to our Waterworks assortment. 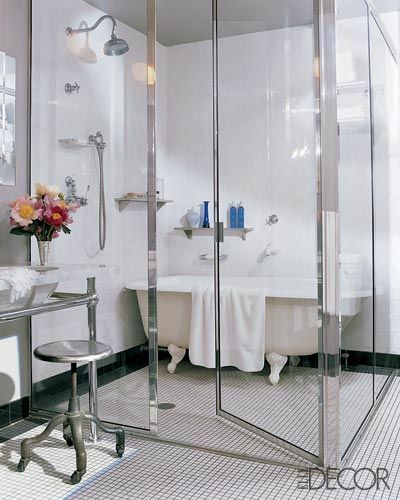 Its design is intended to reflect simplicity and elegance with a “dash” of whimsy that is both transitional and fresh. 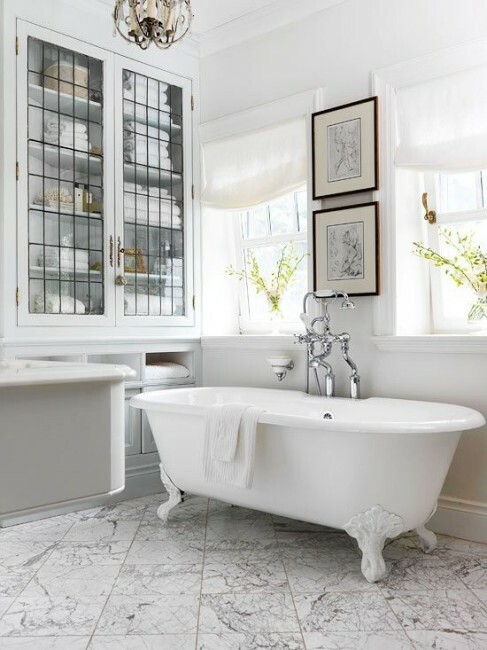 It is a stylish solution that works well in many baths, functions perfectly and is manufactured with the highest quality materials and finest craftsmanship. 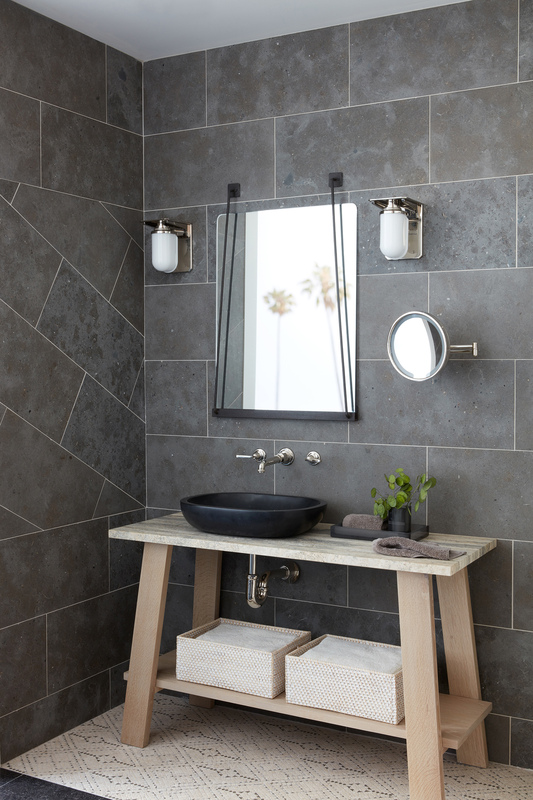 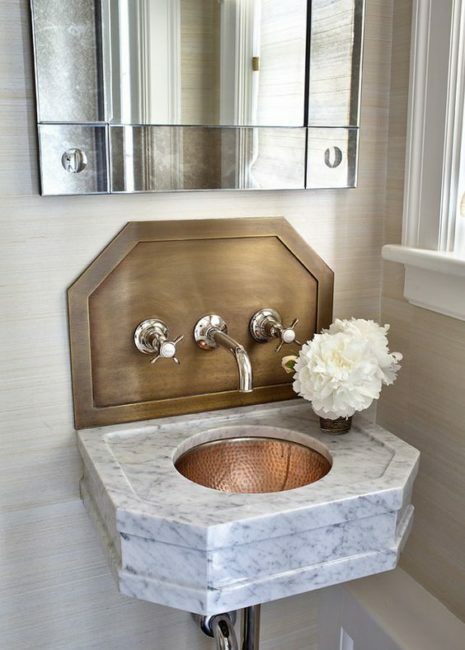 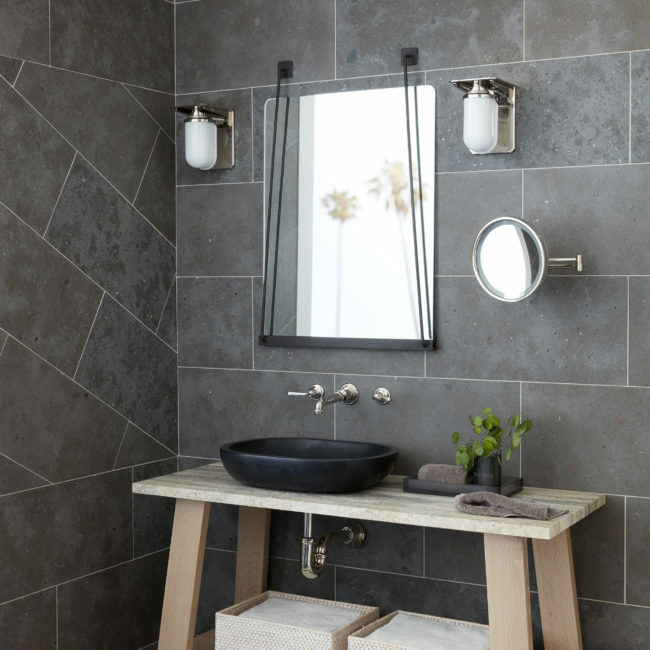 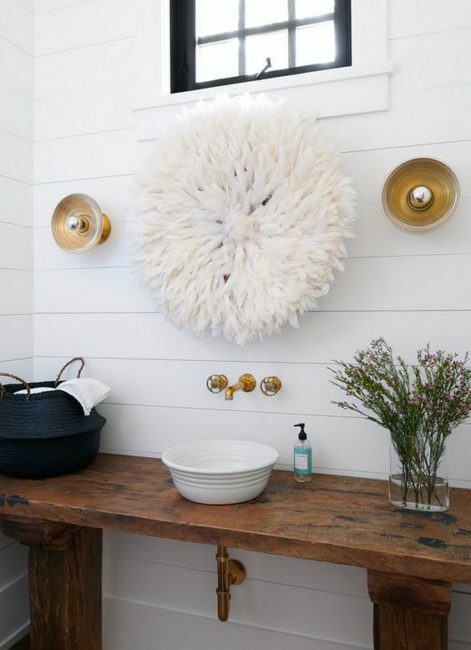 Mounted on a stone wall, the faucet over the large and lovely racetrack-shaped oval is both trim and elegant. 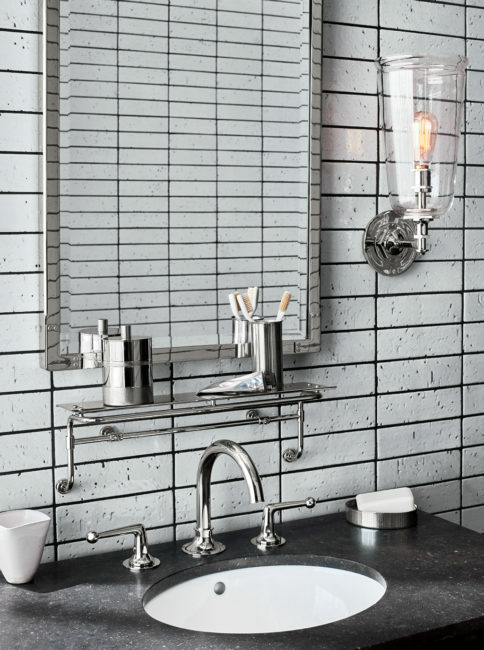 I have written about wall-mounted faucets before, but today they seem more relevant than ever. 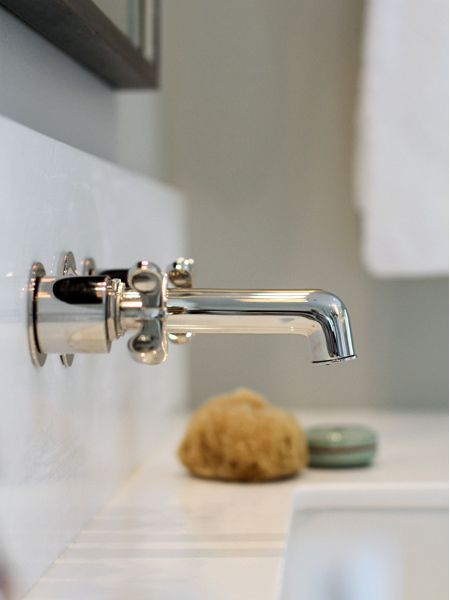 Certainly, mounting a faucet on the wall, especially on an elegantly shaped backsplash, is a space saver. 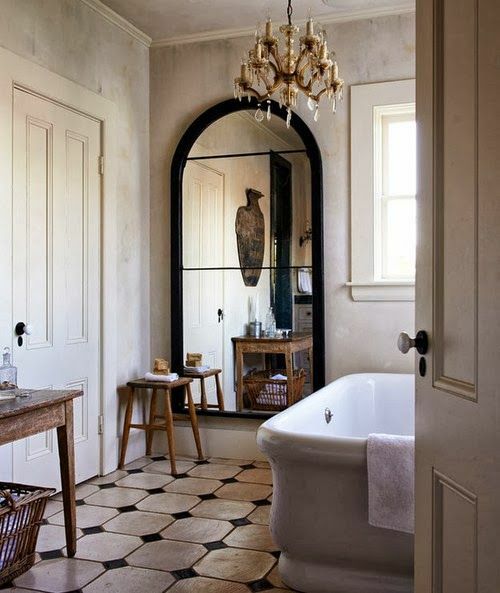 Familiar, nostalgic, pretty, dramatic, traditional, transitional and always in style. 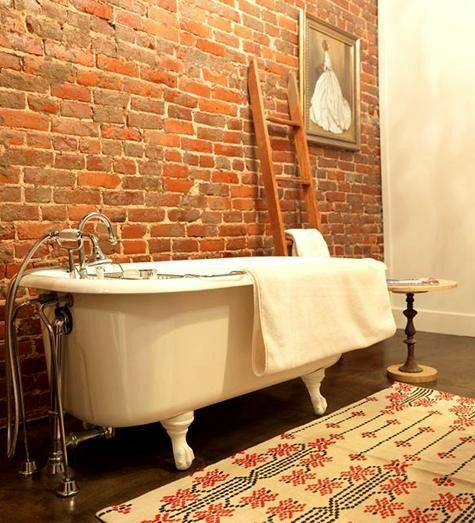 That is the clawfoot bathtub. 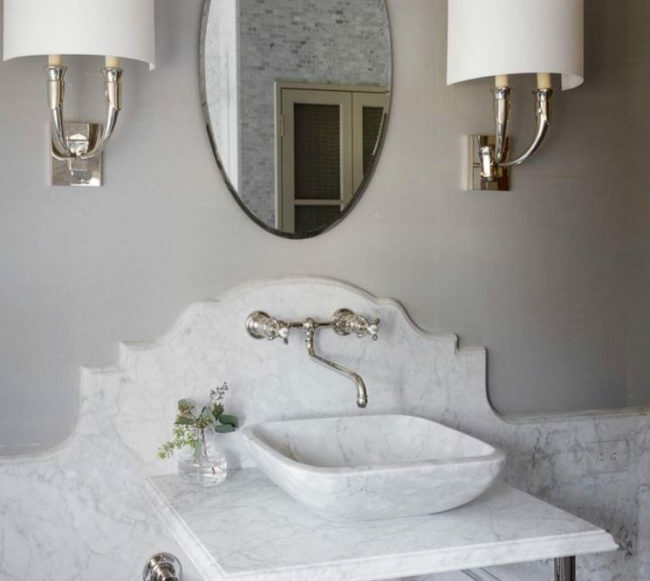 They are a bit like chameleons; a quick coat of paint on the exterior can change the profile from soft romantic to sophisticated loft. 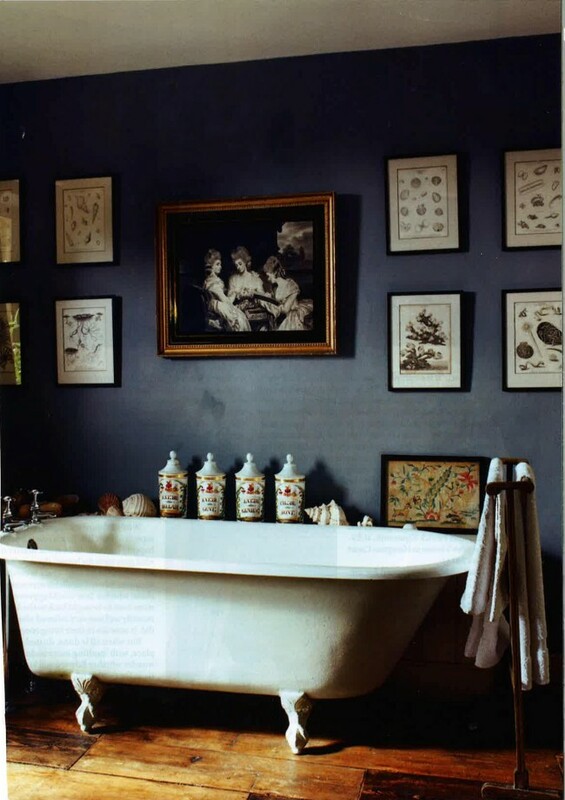 Years ago we painted a bright sunflower on a clawfoot tub that we placed in the window of our first 58th Street showroom. 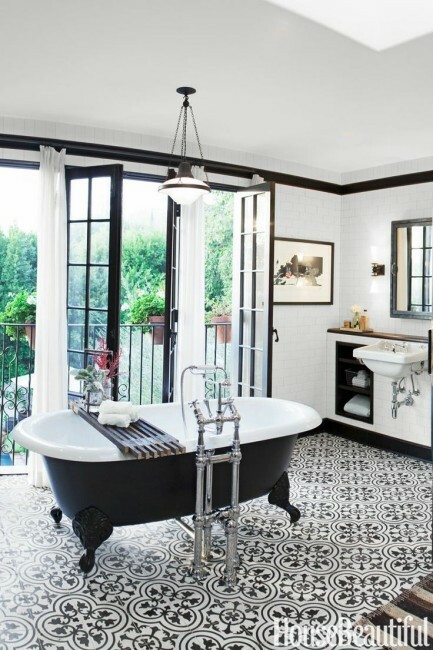 It stopped traffic and was eventually bought by a famous rock star for his house in the Hamptons. 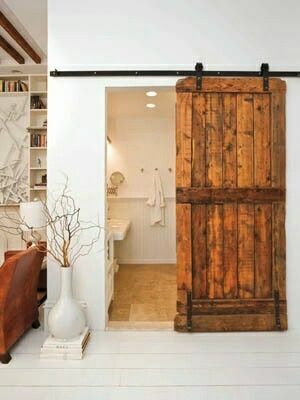 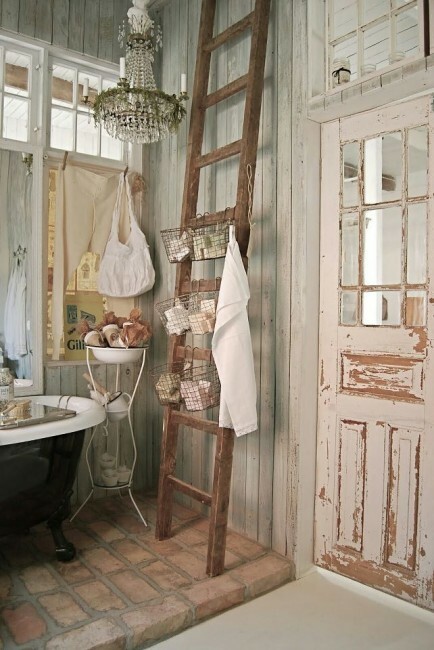 Another version of rustic is country house informal. 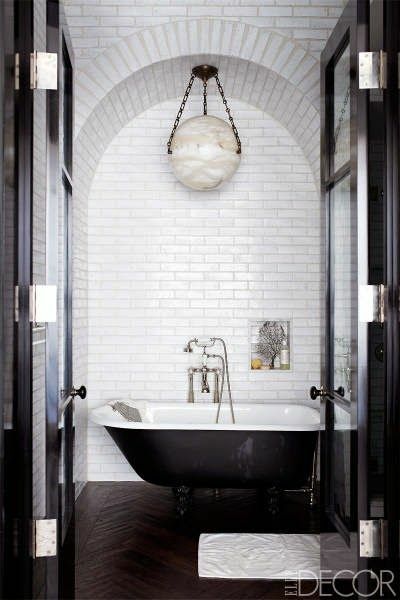 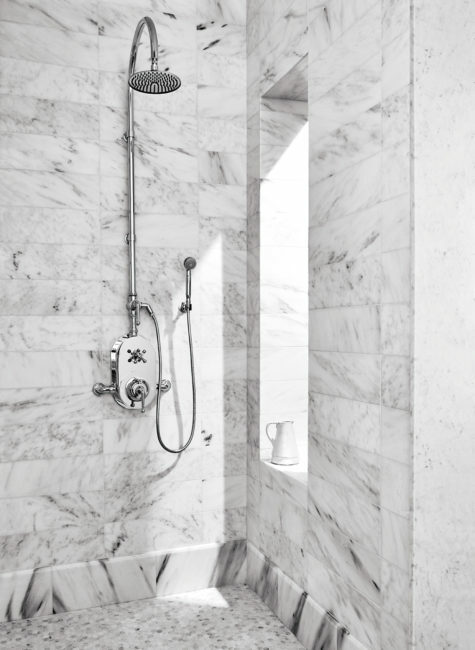 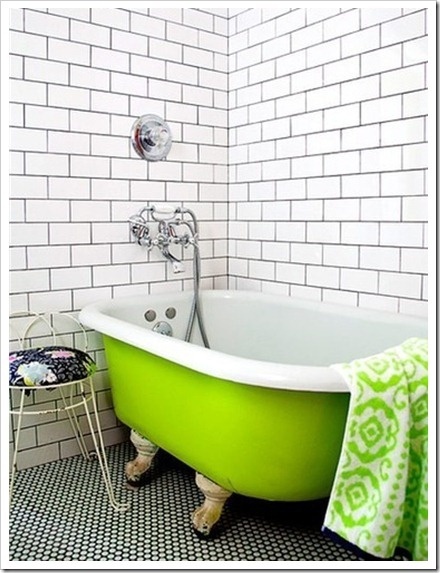 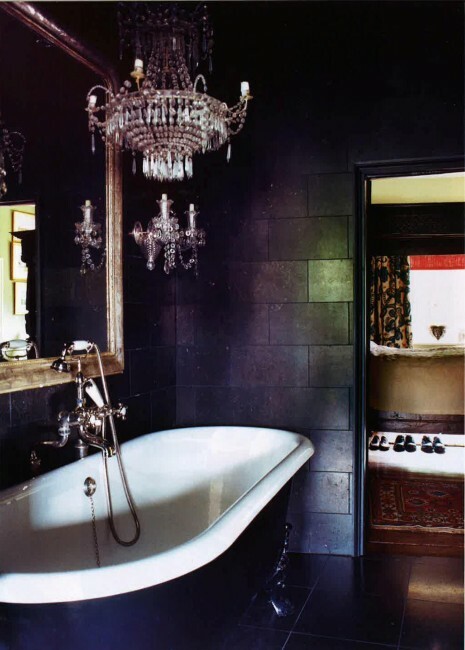 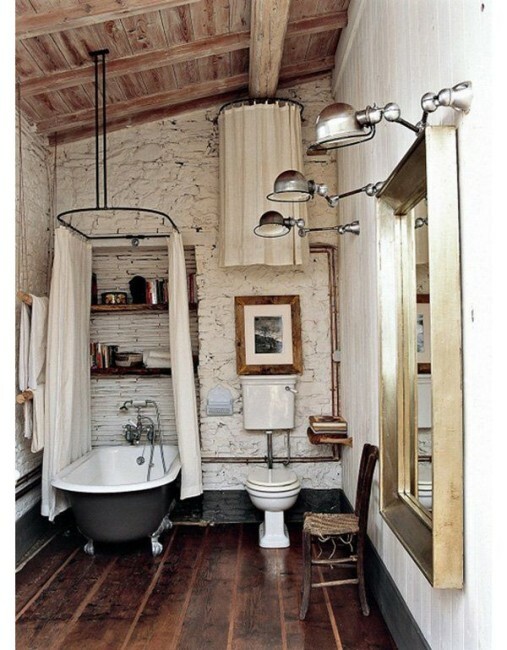 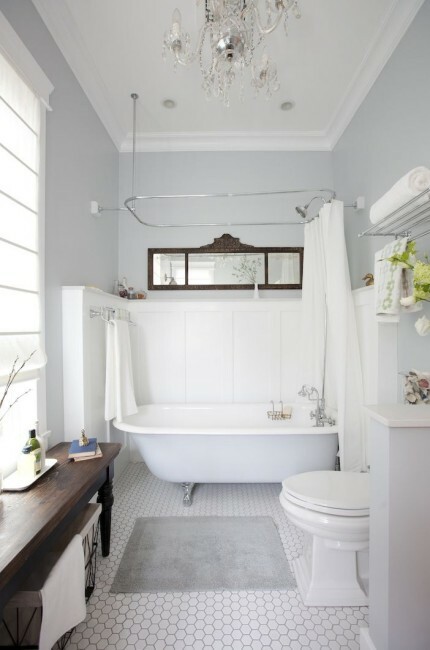 The space is traditional, the floor limestone with cabochon and the tub is a reproduction of an early 20th century model. 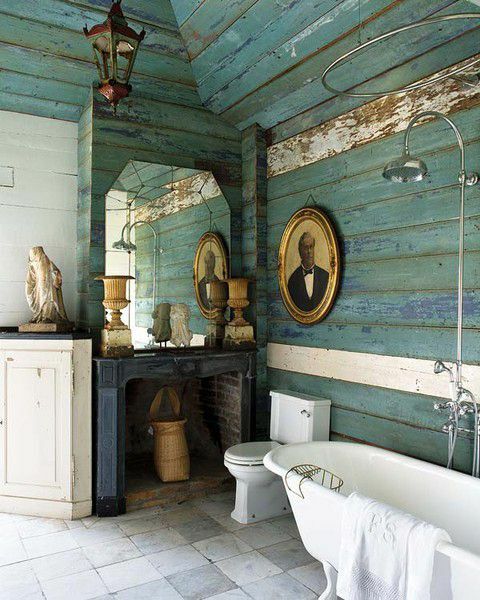 This is somewhere between charming country and rustic. 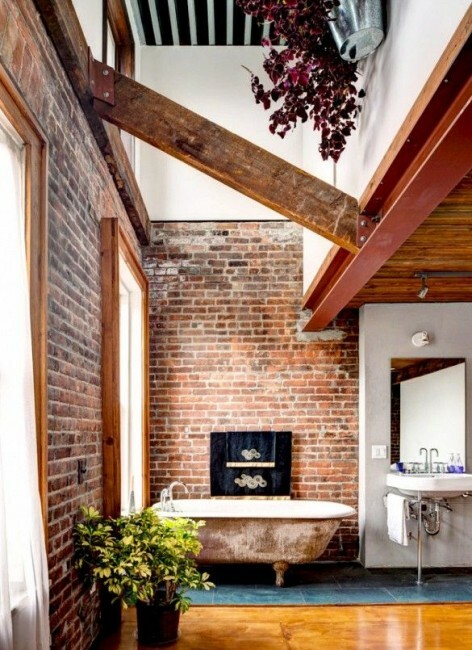 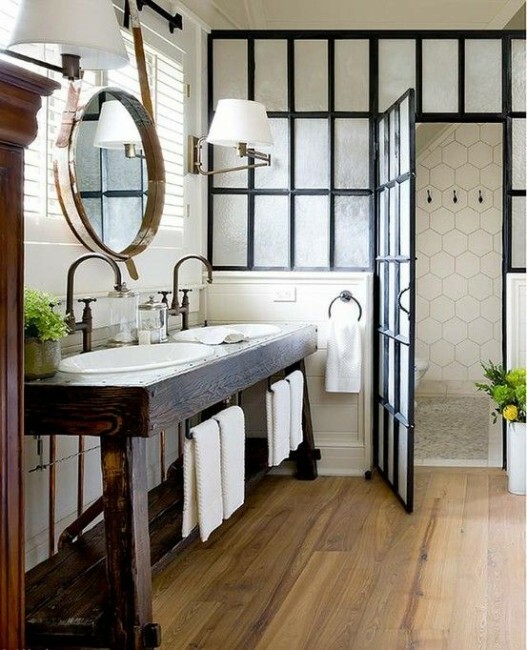 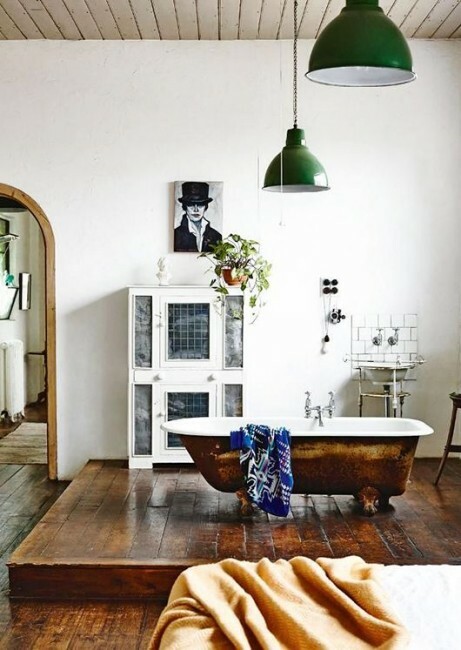 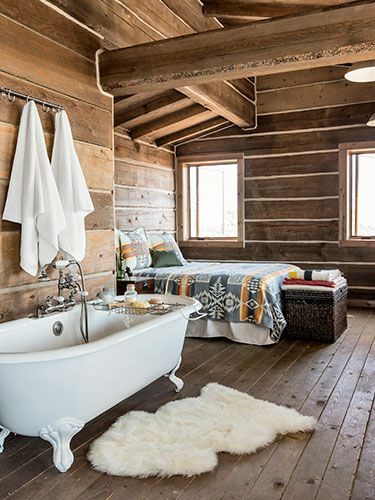 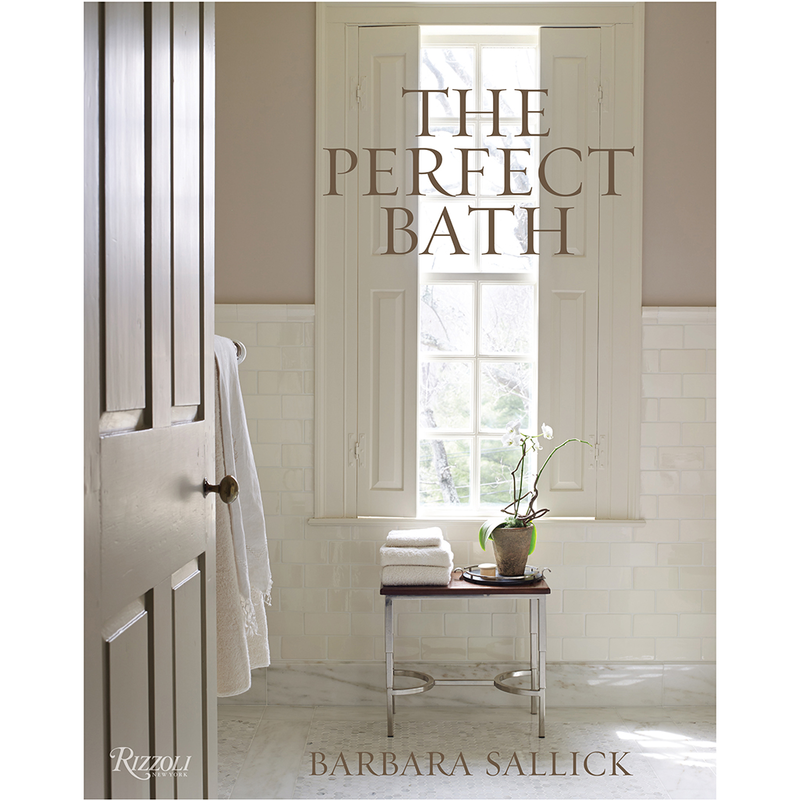 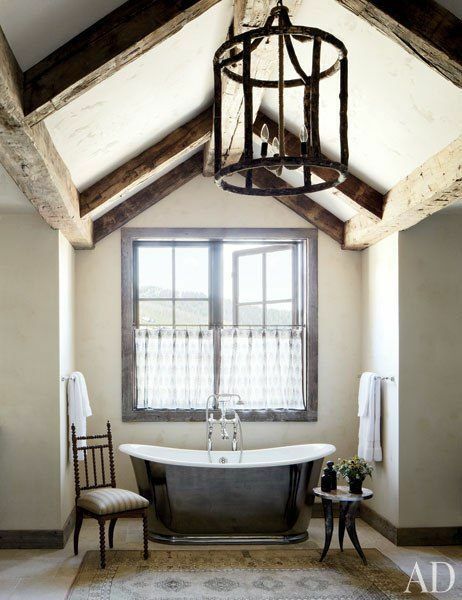 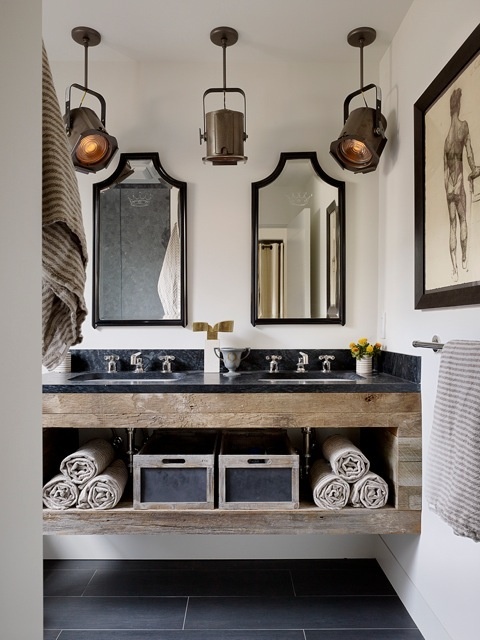 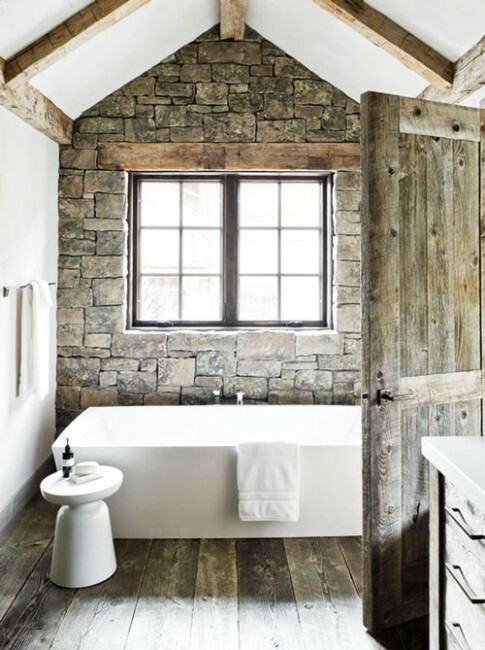 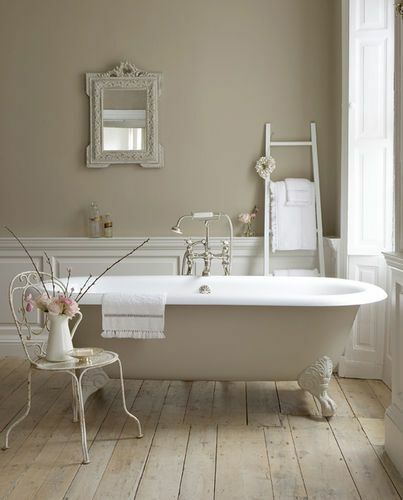 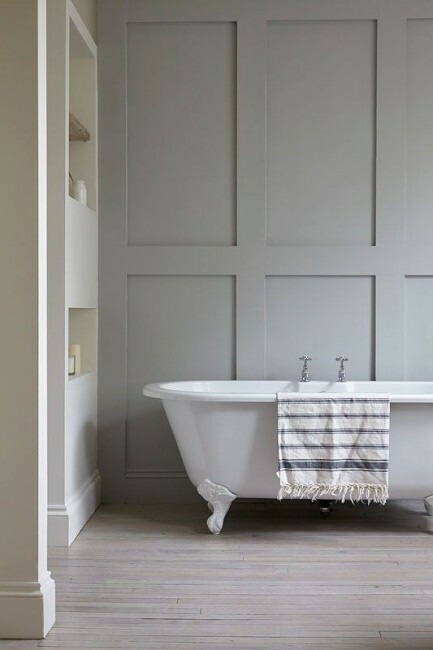 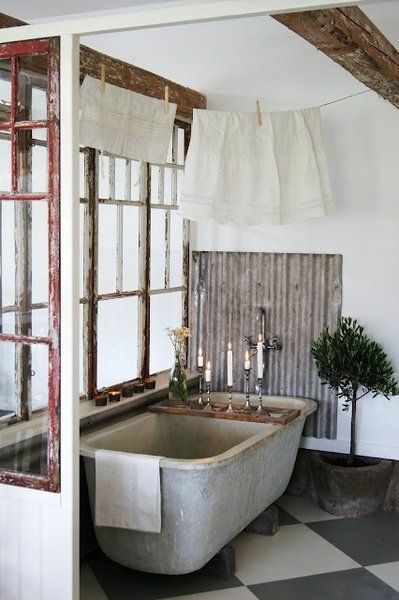 There are many elements that give a bath a ‘rustic’ composition. 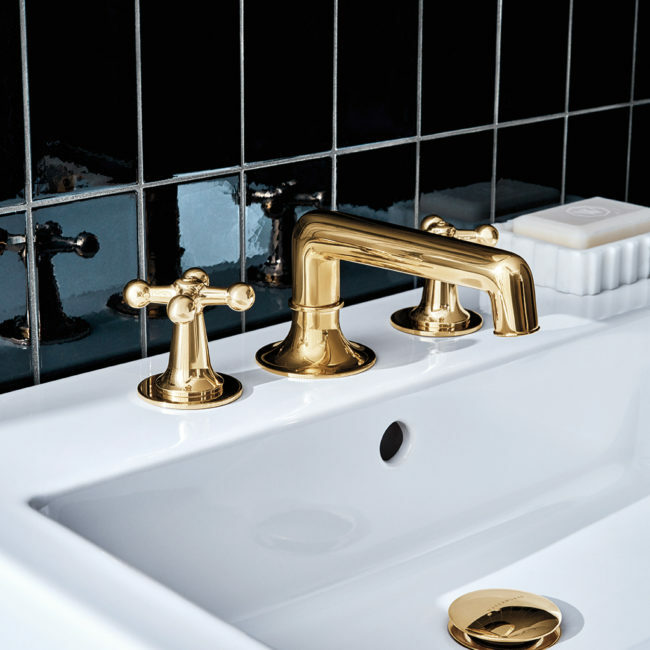 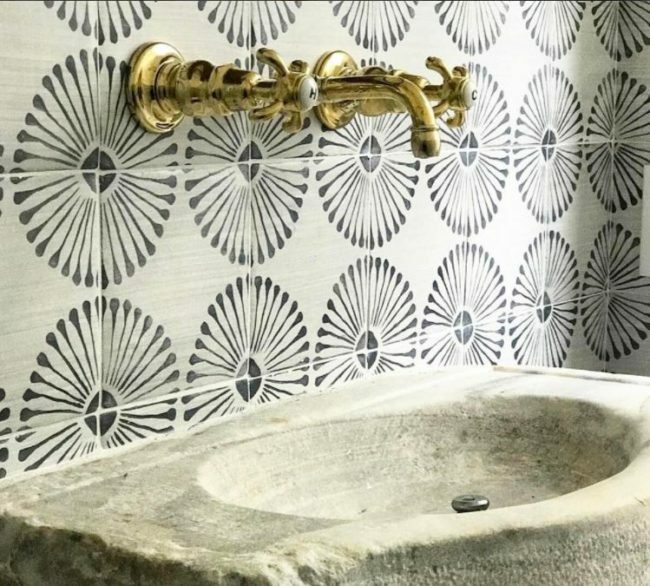 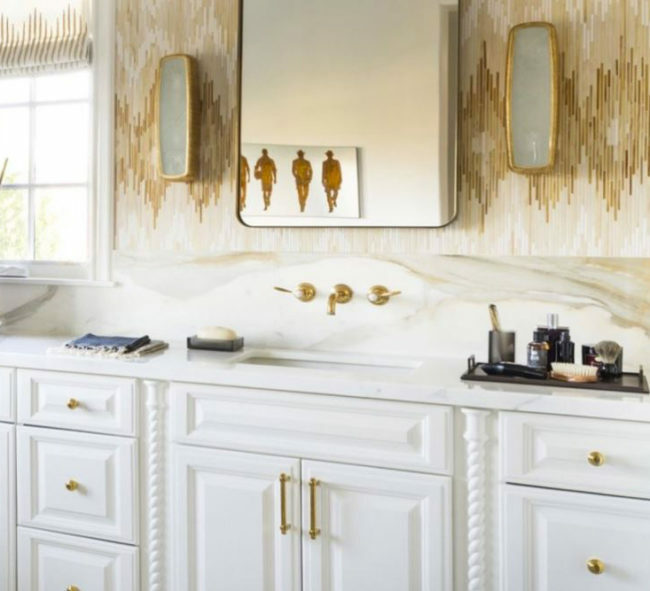 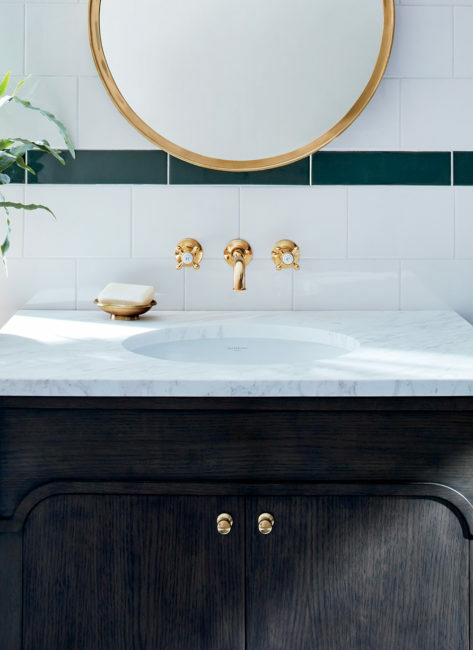 The first one that comes to mind is the use of Unlacquered Brassfittings with the worn and alluring appeal of a finish that shows its age gracefully. 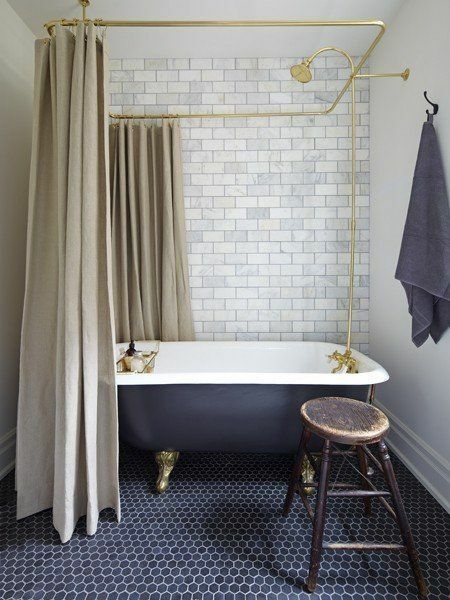 The warmth of yellow brass that is tinged with hints of green or brown delivers a soft and friendly patina.